Ashe, Blitzcrank, Caitlyn, Jax, and Renekton received changes to their ability effects on the PBE. 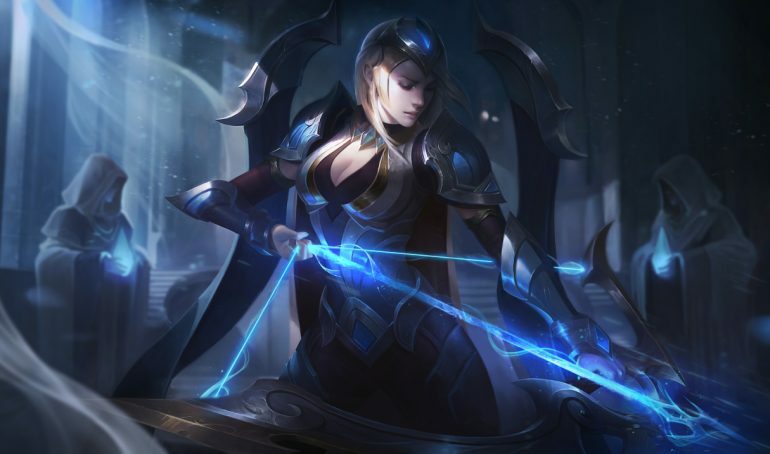 Riot Games introduced new visual effects for Ashe, Blitzcrank, Caitlyn, and Jax on the League of Legends Public Beta Environment today to help bring the champions’ ability appearances up to par with the current standards of the game. A few abilities have just seen slight clean-ups to help mitigate noise, while others have new particle effects to reiterate the character or skin’s personality. Ashe’s abilities and auto-attacks now have a frostier appearance to reiterate her background as a hero of the Freljord. Ashe’s Ranger’s Focus (Q) received a brighter glow while her Volley (W) has been cleaned up to make for sharper projectiles. Ashe’s E is now a newly-modeled ice hawk that explodes into snow upon reaching its destination. Blitzcrank received major changes to the effects on each of his abilities. Most notably, the champion’s Rocket Grab (Q) and ultimate ability now clearly show the actual range of the effects. The rest of his abilities have been cleaned up and updated to include electricity. Each of Blitzcrank’s skins have received minor visual effect changes to better fit the aesthetic of the designs. Most of the skins have been cleaned up while others received additional effects, such as a jet pack on iBlitzcrank’s W run. Caitlyn originally saw a fiery purple redesign to her basic attacks, but the effects have since been scaled back a bit to help reduce the magical look. The attacks now resemble a bullet and will be updated on the PBE tomorrow. Most of the sharp-shooter’s abilities have been cleaned up to improve gameplay clarity, although her ultimate now features a brand-new missile and effects. Jax’s abilities have all been cleaned up with their effects sharpened. The activation on his Empower (W) is now clearly visibly with his lamp post lighting with fire upon cast. The champion also received a bit of sand particles to his ultimate, Grandmaster’s Might. Renekton is the final champion to see changes in today’s update to the League of Legends PBE. The top laner received visual effects in Patch 8.24 last year and is now seeing updates to his sound effects on each of his abilities.